After the publishing and presentation of my first cookbook in London and New York City, many readers and followers suggested that I should write it in English since they couldn’t read Greek. A cookbook about Greek cuisine with easy recipes anyone can recreate at home has been a dream and an idea I’ve been working on for the past two years. “My Greek Salad – The Cookbook” will soon be an actual cookbook celebrating the Greek cuisine and all these moments we cherish around the table! So, what makes this cookbook unique? All recipes will be inspired by the Greek cuisine and presented to you in simple steps. Many traditional Greek dishes entail complicated techniques, and that’s why I’ve been testing simple versions and shortcuts so that everyone can make them at home. Also, ingredients will be measured both in metric and imperial systems. The same applies to oven temperatures. Did I mention that all recipes will be photographed? That way, you will know beforehand what the final result should look like. No muss, no fuss Greek Mediterranean magic at your table – that’s what differentiates this cookbook! Think delicious salads, mouthwatering pita wraps, wonderful desserts and gorgeous meze platters you can easily make at home and share with friends and family A proper Greek feast, consisting of approximately 100 authentic recipes from the islands and the mainland, is the essence of this project. Greek cooking at home should not be intimidating, and this is what we are going to prove with this cookbook. Recipes trusted and loved by the inspiring people I met through this incredible journey. 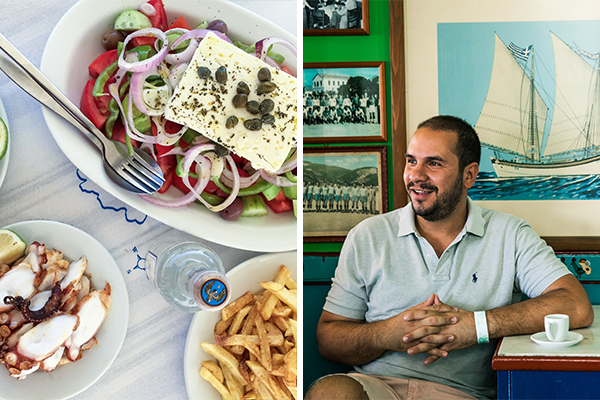 Gyro, moussaka, fresh fish, seafood, pita wraps, stews, salads, and much more iconic dishes from all over Greece will be featured in the book. Of course, desserts will be a huge star in this project, so get ready for some indulging portokalopita, bougatsa, chocolate syrup cakes and baklava, just to name a few. Through this Kickstarter campaign, everyone can chip in and help bring this beautiful cookbook to life! 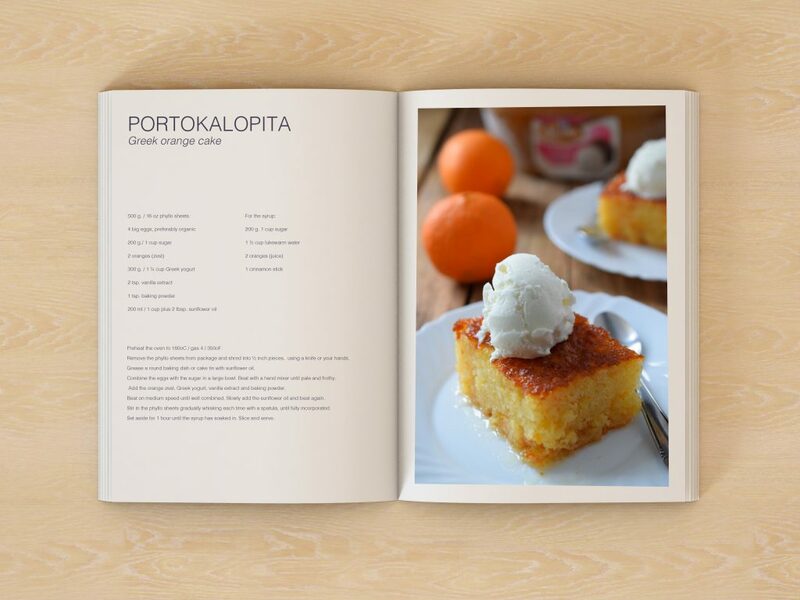 You can also feature your own Greek recipe in a special section of the book if you want to! There are many reward tiers that I believe will suit everyone’s needs. 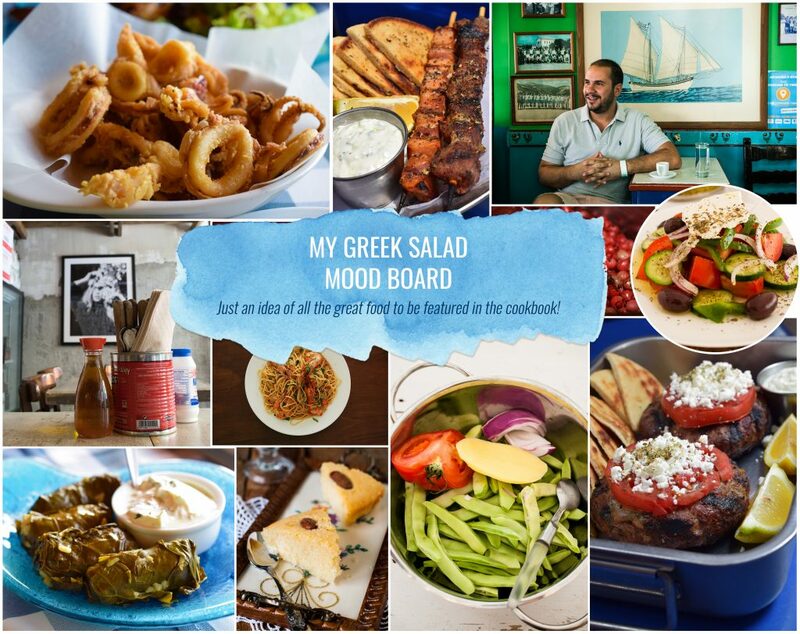 Watch the video and get your Greek mood on! The Kickstarter campaign will be up and running until July 5th, 2018. Feel free to share the campaign on your social media accounts and let friends or relatives who love Greek food as much as we do about the campaign. Getting involved is very easy and would mean a lot! You can pre-order the book and support this pet project of mine through this link: http://kck.st/2JkFNUt . I hope you will love it as much as I do. Looking forward to meeting all of you at the upcoming Greek food parties that will follow soon (as long as the book gets published!) in the US, London, Australia and so many more places. Thank you so much from the bottom of my heart.